There can be no doubt that the historically intact magnificent city of Dubrovnik oozes magic and magnificence from every corner and street, in its main grand piazzas and in the shadows of its imposing encircling walls, before its various churches and cathedrals, and from whichever viewpoint the city is admired. And yet for all the magic of mankind’s creation, it is the creation of nature, surrounding the city, which enchants me the most. Not only is Dubrovnik built upon an island cast from vast rocky forms which plunge out to see unabashed by the forces of the Adriatic, but besides the main city, a number of smaller rock forms create little bays and natural harbours which are loaded with a special unique mysticism which make them feel almost otherworldly. Chief amongst these is the area of the Lovrijenac fortress. 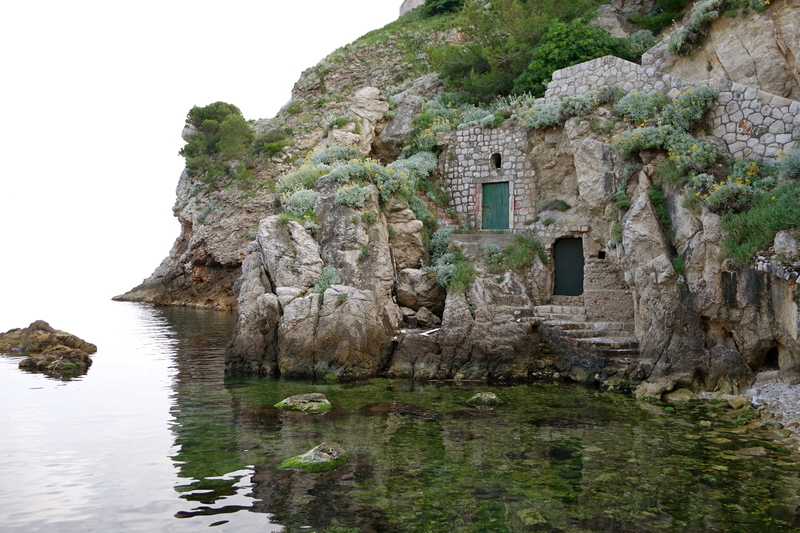 Set upon another vast rock and surrounded by a tranquil little bay (Brsalje Harbour) punctuated with its own collection of smaller little rock forms, Lobrijenac felt like a castle straight out of a fairytale. The rocks leading to it were crisscrossed with little steps, and the steep sided rock faces peppered with nature’s best display of yellow and purple wild flowers, mosses and cacti. 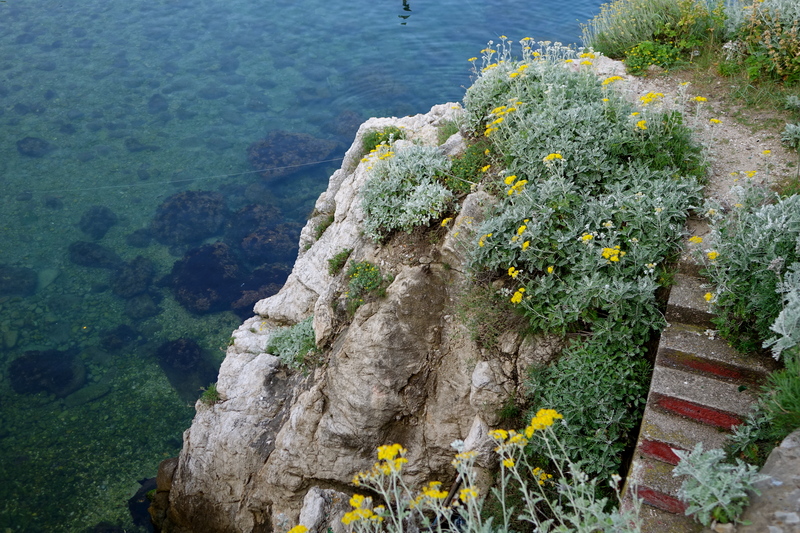 Meanwhile in the waters below, the proliferation of rocks on the seabed meant that the water under Dubrovnik’s blue skies glowed a ravishing tone of turquoise, while the shape of the rocks themselves looked almost like wild mystical animals, refreshing themselves in the shallow waters. 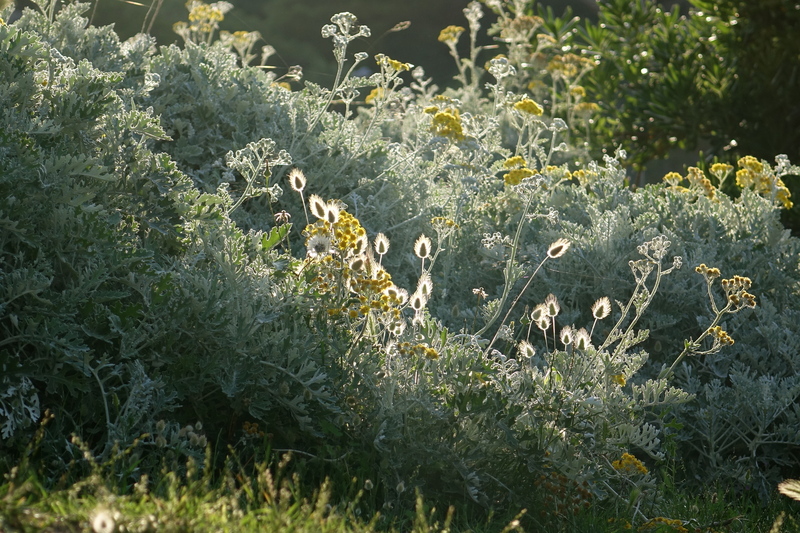 Perhaps it was the combination of these magical natural forms and the fading afternoon light when we visited which made this place extra specially supernatural when we visited on our first day in Dubrovnik; it may also have been my artistic imagination which gave the place such significance. After all, only recently I completed my large scale painting, Autorretrato, which was set in a fantastical bay containing random rock forms just like these, an image which I had then carried through to two of my etchings. 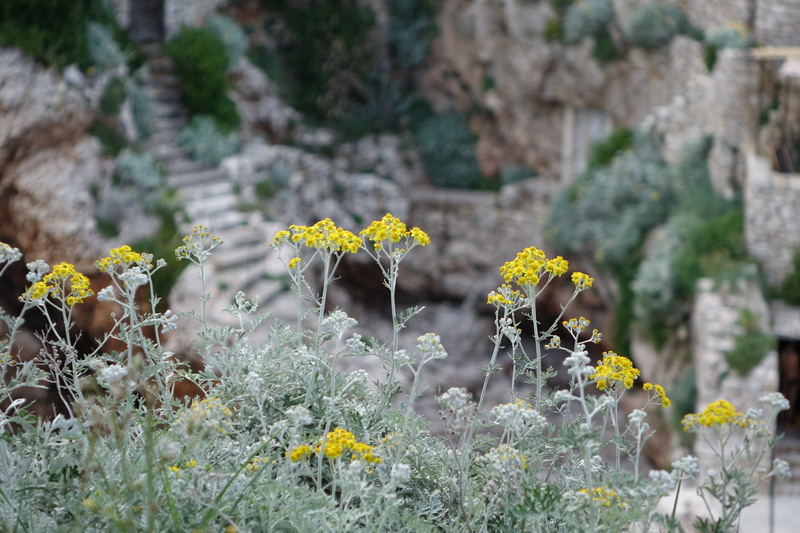 Whatever the reason though, I found this area just outside Dubrovnik’s walls to be completely stunning, hence why I’m giving it a whole post of its own in amongst my new season of posts from the city. 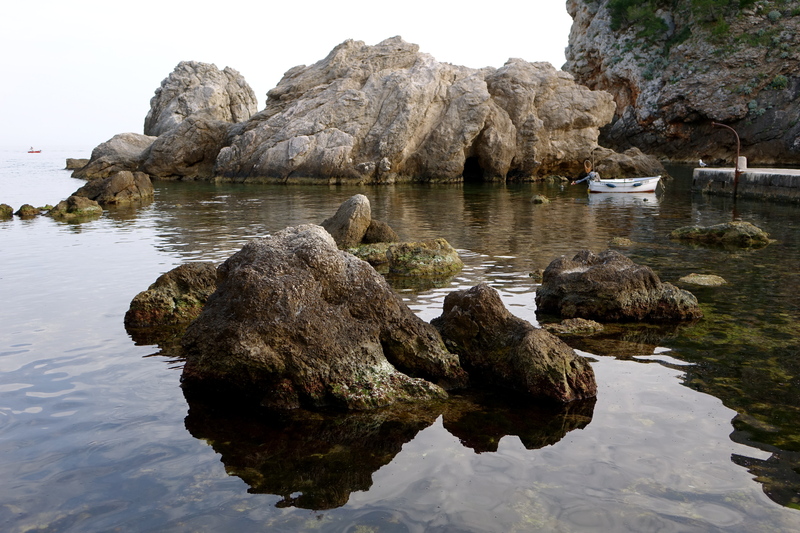 For all its tranquillity and light, its mystical rocky forms and sparkling sensuous watery ripples, the Brsalje Harbour is definitely one of my favourite of all places in Dubrovnik, but ultimately there are so many more which warranted my artistic and photographic attentions. So be sure to come back soon to The Daily Norm so see what else the Pearl of the Adriatic had to offer.